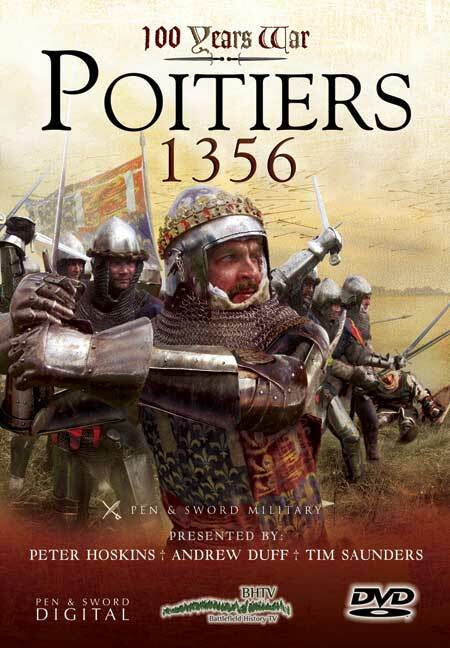 You'll be £16.99 closer to your next £10.00 credit when you purchase 100 Years War: Poitiers 1356. What's this? Ten Years after the English victory in Crecy an Anglo/Gascon Army led by Edward of Woodstock, The Prince of Wales, won a great victory at Poitiers on 19 September 1356. Once again a French Army was decimated by the despised English but what made this victory different was not only the capture of the French King, John II, but the fact that was a victory won by all arms, not just the longbow. In the 10 years since Crecy the Black Death had ravaged Europe and England in particular. As a result there had been a halt to hostilities between the two countries. In the respite the French King carried out many much needed reforms to the French military system; in particular in the training and equipping of crossbowmen and the defences of towns. In 1355 the English launched a series of Chevauchees against the French, Edward III from Calais the Duke of Lancaster from Brittany and the Prince of Wales from Gascony only that of the Prince of Wales achieved any success. The Prince of Wales's Chevauchee, known as the Great Chevauchee, ravaged the south of France as far as Narbonne causing immense damage to the French economy and lack of face for the King John II and his nobles. It is most probably as a result of this raid that The Prince of Wales was nicknamed The Black Prince by the French. In summer 1356 Edward Prince of Wales launches his Anglo/Gascon Army north/east out of English held Aquitaine towards the Loire and Tours burning and ravaging as they went. In conjunction the Duke of Lancaster moved towards the Loire from Brittany acting as both reinforcements and a decoy. John II is unable to ignore this threat to the heartland of his kingdom and musters his forces to the north of the Loire. Once the French cross the Loire Edward and his army turn for home, like Wellington, he is only going to fight if he has to, he has achieved his objective by destroying the economic strength of this area of France. John II and his army set out in pursuit sure that the chivalry of France can defeat the impudent English. On the 19th September 1356 the French encounter the rearguard of the English Army, Edward and his generals are planning to retreat but they see a chance to strike. The battle that ensues is both bloody and decisive. By the end of the day a large part of the aristocracy France was dead, dying or prisoner including King John II. The Anglo/Gascon army was enriched beyond its wildest dreams with the ransoms that would be paid. This campaign, conducted by Edward the Prince of Wales, was a masterpiece of strategic warfare. In 3 months the Anglo/Gascon had carried out a devastating campaign of economic warfare that undermined the French State and destroyed the wealth of a major area of France. The final gloss on the campaign was the victory battle and the capture of the French King. In this programme, the BHTV team use their experience as soldiers and guides to bring this iconic campaign to life. The team examines the political, military and economic background to the campaign and brings the subject to life by visits to all the major locations, skilful use of maps and complimented by re-enactment footage and vignettes of life and combat in 1356.